Next post: Episode 83: Rinse. Repeat. Tuscon writer, Heather Ordover, gets make do and mendy, and artist, Micheal Swain, mends clothes and the community in San Francisco’s Tenderloin. There’s talk of jam. Thanks to my guest this week, Micheal Swain, of the Free Mending Library, pictured here in action; and to Tuscon writer, Heather Ordover, host of Craftlit. This Week’s Audible recommendations are The Thirteenth Tale, by Diane Sutterfield; Tears of the Giraffe, by Alexander McCall Smith; read by Lisette Lecat. Send audio postcards using the new iPhone 3.0 software (or the recording device of your choice). Record the sounds of where you knit, spin, sew, or make do and mend, and record a separate voice over narration. Send both files in MP3 format to brenda@cast-on.com, with the subject line: Postcard. Support the 4th Plinth Knitters! Anne Makepeace will be knitting on the plinth Sunday, July 26th from 5.00 to 6.00pm. Knit or crochet a flower for her blanket and send it to: 58 Low Friar Street, Newcastle, NE1 5UE. Knitsib Alix, also has a place on the plinth next month, on Monday, the 13th of July, from 10 to 11 pm. 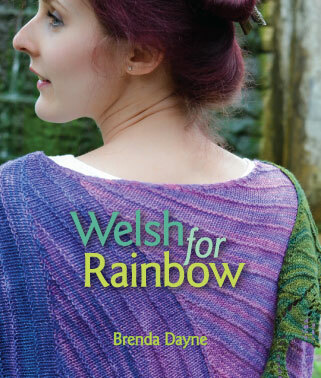 I’ll be there, with friends and knitting, and hope to see you there. The All New Amazing Rugs of Kite Weather are back in stock. All proceeds from the sale of the rugs go to Kiva.org. The full text of Marge Piercy’s poem, To Be Of Use, is here. The Vertical Mouse and a shorter keyboard have helped me. If you’re in or near Washington DC, do check out the Smithsonian Folklife Festival, on the National Mall, June 24th – 28th, and also July 1-5th. It’s been awhile since I told you how much I appreciate this podcast since I’m terrible about posting (someone may judge my words! Oh noes!). Thanks for doing it. I really enjoyed today’s episode (and I happen to love hearing Ruby in the background). I also have pain issues and I’m doing some of the same things (new mouse, although mine is from Humanscale, and a shorter keyboard). I’ve heard that a negative or neutral slant to your keyboard may also help – don’t use the feet on the bottom. I wish you well (literally and figuratively). Have a great summer, Brenda…mmmm jam! Brenda: I’m one of those people who is going through the process of downloading each and every podcast. I’m not sure how I found you, but I am so glad that I did. I listen to you while doing housework, driving, grocery shopping. It’s such a pleasure to take you with me. It’s summer, and I’m working, so I’ll be making a contribution to the cookie jar. Gladly. Hi Heather ~ Love the Podcast and I love the “Knitting Song”, it’s such a fun tune. Happy knitting and stay cool down in Tucson. I really like the new Cast-On logo and the way the C shows up next to Cast-On in my bookmarks list. Very cool. Another fantastic episode! Thanks for allowing us to revisit the drunken singers! I just LOVE them! Wouldn’t that recording make a fun ringtone? I’d buy it in a minute. Help! Can you post links to the jam jars and instructions? My Welsh neighbors keep telling me to just reuse storebought jam jars but that just feels so wrong to me. Hi Brenda, Thanks for this podcast! I specially like the make do and mend motive. The subject is enough to fill a lot of podcasts, I think. One thing amazed me, and that was the part on jam making. I never knew the equipment you describe exists. I have an allotment which brings me fruit to make lots of jam and chutneys and fruit syrup each year. And I LOVE it, just like you. I use a normal cooking pan, wooden spoon, sieve, and second-hand jars. Marmalade jars, olive jars, and the ones that contain one serving of apple sauce, all jars with a “popping” lid are fine. I soak them in hot soap water to get the label off, then I wash them. I never cook the jars, but before I fill them I put them in the dishwasher on the hottest program. I have never had to toss one jar of jam away because this did not work… and it costs nothing. Well, close to nothing. I did not know elderberry can be used too, so thanks for that tip! Thank you so very much. For me it’s Christmas every time there is a new issue out. I love the podcast and have been an avid listner since the beginning. Very weird when I listned today as I had just picked some strawberries to make jam, but like the comment above I just “make do” with old jars, old pot and wooden spoon! Did not know about the equipment (just as well! any excuse to look at ebay!). Sympathy with your shoulder. I have started accupuncture for “knitters elbow”……chance to internet shop as I will look for the book you mentioned. Thanks for a great podcast! The first and still the best! Hello Brenda, I returned to the UK from Washington last Wednesday, the first day of the Smithsonian Festival. I thought it was wonderful. Unfortunately I only managed a couple of hours there but loved the Welsh textile tent, also the rugby training for the children looked good fun. However I spent most of my limited time wandering between the various music tents in the Las Americas section. They were brilliant. We were being picked up at 4pm to go to the airport and my poor husband, who was in DC on business while I did the museums etc, was getting agitated back at the hotel in case I did not return in time. How I wish I could have stayed longer. The lovely naturally dyed Welsh yarn in the market tent was the only knitting yarn I saw in DC this time as Stitch DC in Georgetown has closed. Love the podcast – have listened since the beginning but this is my first comment. Brenda, I cannot tell you how much I am enjoying this series. Each episode has brought back memories of my childhood when “make do and mend” was a way of life for my family. A New Sweater Every Year reminded me of the colour block pullover my grandmother knit for my daughter from scraps of yarn; people would stop me in the street to ask “Where did you get her sweater?” I wish I still had it but, in true keeping with the Make Do and Mend spirit, it was passed along to my niece when my daughter outgrew it. During the course of this series, I’ve been reminded of the “experiments” conducted by my family when I was child. They ranged from a dabble with vegetarianism as meat “encouraged our uncivilised side” (in reality, we were going through a particularly tight period and couldn’t afford to buy meat) to, in a slightly more prosperous time, a six-month long holiday from television as “TV rots your brain” (the old one broke and it took six months to save the money required to replace it). While I don’t think I’m nearly as consumption-oriented as my neighbours, your series has reminded me that there is always room for improvement. This year, I WILL can some tomatoes! You surprised me when “They Might Be Giants” sang “Am I Awake” because I’m listening to the podcast from the back office in my nursing unit while I’m taking a break on the night shift. That’s right 0330h. Thanks for giving me something to look forward to so I can knit and laugh on my break. I know that jam making is one of the easiest ways to preserve food because – with the high sugar content – it doesn’t really need to be truely canned with a sealing lid. Jars with sealing lids (like a commenter above said, anything that goes pop) seal the sterilized air from boiling the jar in safely. Wax paper (or parafin wax dribbled on and allowed to cool) also works because the key is to seal the surface so mold can’t grow on top. Those jars with the flip lids and red rubber rings were used in the US before the ball and kerr jars – I just think of them as more old fashioned but they serve the same purpose! Oh I really loved this podcast, and especially Heather’s essay. How NICE! Micheal Swain is doing such a Neat thing! THANKS! Check out this site…lots of stuff that is way too techy for me AND then also lots of crafing and re-crafting and DIY ideas. Brenda! I’m listening to you during my favorite time of my day. Amazing coffee in hand, first EZ February Baby Sweater on the needles, and a new podcast in my ear! Love the kntting song-amazing. Hope jam making goes well. I am going to try and can this year for the first time!!! I cannot wait to start. Enjoy your day and thank you for a great morning. Thank you for the work you put in for us listeners; with your tidbits, inspirational poems, songs, stories, humans of degree, happenings, currents events, just how to live comfortable & happy, and of course “the world of kntting.” Just thank you! Side note: Being a child of the 70s/80s, born & bred in Brooklyn, NY, there are somethings I enjoyed learning from you and of the generations before me, I find myself googling/wiking and racing to the library to learn what is that? Example of what did a sandwich bag look like, how was it made – kntting or sewing? Jam making, something I never was expose to or not done where I came from, but will start to learn to make some now. Funny though, my mother was always baking bread, muffins, biscuits and such, home made jam was never done, but honey was the norm in my household. I think it might had something to do with affordability and an item not taught or learned in my family of women, thus was never pass down (perhaps all or any of reasons; ethnicities racial, regional or economic status added to it), trying to survive, “paying the bills and we haven’t eaten yet thinking”, so jam-making was not a important item to consider (or considered too frivolous) baking was the survival tool. Brenda thanks for opening that option for me & my family. I just wanted to say thank you for including the Audible books you mention in the show notes. Wonderfully convenient. Just finished listening to another wonderful episode. This is my respite.. something I do while working on art, alone in my home before the rest of the house is awake… heaven. Thanks again. The great thing about ‘making do and mending’ when it comes to jam jars and equipment is that you can produce gifts of all sizes (plus huge jars to keep at home) depending on what jars you are recycling. Dress them up with some scraps of material over the lids tied around with ribbon and they make great gifts – choose small or large depending on how far you have got to carry them! Heather’s essay really sparked some memories. It reminded me of how for many years our back to school shopping consisted of the bags of outgrown clothes we’d receive from my mother’s coworkers who had older children. I never thought about it at the time, but looking back, they must have been clearing out their closets to make room for the back to school shopping they would be doing in stores. The strange thing is, now that I’m on my own and can afford to shop, I bemoan the lack of good thrift stores in my area. On a side note, I was watching a financial advice show a while back and the guest said the best thing you can do for your bank account is (drum roll please) not have children! Quite possibly true, but rather bleak too. This episode had me write about how I make jam. But of course the jam isn’t the only thing I took away from the podcast. I’m very happy that you’re doing them more often again. I’m looking forward to each episode. I have loved your podcasts since you started. Your talking about jam making in Wales made me think of my friend Susan Pinkney in Blaenffos, Wales who makes wonderful jams and preserves along with baked goods for sale at the farmer’s market in Crymch. If you want to know about UK jam making she’s the one to ask. I stayed with her for 6 wonderful weeks 2 years ago from the end of June to mid August. I helped bring her 82 father back to the UK and was teaching her how to felt, dye and spin wool. while I was there along with helping out at the market Her friends gave us close to 6 dozen local fleeces which I ended up hand washing outside in between the rains and drying in her green houses (I got very creative on finding ways to dry fleece and we had it strung all over the place). I managed to borrow an old Ashford Traditional from the Pembrookshire Spinning Guild and had brought all my spindles, hand carders, felting needles, knitting needles and crochet hooks with me along with beads and embroidery supplies as I wasn’t sure what I could find locally for my projects. I also brought over rug hooking canvases I had designed, and completed felting and knitting projects for Sue to sell at the farmer’s market. and a shop in Cardigan. She already had my cross stitch and needlepoint canvases. When we weren’t doing the market I got a real fiber tour of Wales and got to see the Textile Museum, Neolithic Village, meet weavers, other spinners, knitters and felters along with seeing lots of historic sites plus got to go to the Royal Welsh show and see all the different breeds of sheep. Where I am in SC there aren’t any sheep, very few crafters of any kind and it’s the pits for arts and crafts everywhere here so I was in total heaven in Wales. You are so lucky to live there if I could move there I would. I really miss Tessco’s and the variety of food that is actually healthy and fairly cheap. I did manage to bring back 10-15 lbs of fleece stuffed into my bags along with assorted yarns I had picked up. I spun continuously from the time we left the house to take me to Swansee to catch my bus to Heathrow, on the bus, at the airport, on the plane, in Washington, DC, then the plane to SC probably about 18 or so hours. I ended up with 4 very full bottom whirl spindles of lace weight White Welsh Mountain and Badgerface mixed which went into a lace shawl later that year. I hope you can find Sue as she really knows about cooking and does catering for a couple of resturants in Cardigan. She does a lot of different crafts too and has all my craft stuff I brought over. 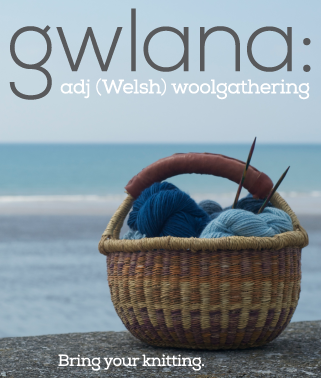 Keep up the wonderful podcasts and please do more about your local Welsh crafts and historical ones. Count me as another who is LOVING this series. We’ve been making do for a while for financial reasons, and as our circumstances improved we found we enjoyed the make do stuff anyway. I haven’t canned in years, but am now thinking about the blackberry bushes and wondering if I can beat the birds! I’mm another fan of your podcast. About jam making, I’ve never known jam making in anything other than re-cycled jars. When the caps were ones that you pushed off we’d buy packets of cellophane circles, wax discs, elastic bnads and labels although I also remember cutting up the waxed paper from Kellogs Corn Flakes to seal the top of the jam. The jars were warmed in the oven first. The only specialist equipment we had was a jam pan and a sugar thermometer. I remember my mum making a jelly by upturning kitchen stool and using a piece of parachute silk to strain the juice from the cooked fruit. And another make do and mend, my grandmother knitted silk baby vests for me when I was a baby by using the centre cords from the ropes of a parachute – and the silk fbric made baby dresses and, later, a blouse. I don’t now make jam – we just don’t’ eat it – but I do make chutney, using a double layer of plastic (up up bag or cling film) which protects the lid from the vinegar and also stops the chuney from shrinking. I lovveeee The Thirteenth Tale. I am actually reading it for the second time and it is truly a marvelous work. I loved the music on this episode! Thank you! Thank you so much for your helpful tip about the vertical mouse. I had no idea that simply repositioning my arm in a neutral position for a short while would alleviate the wrist pain I’ve been having the last few rainy weeks here in Nassau, Long Island, NY. I was very fortunate to hear your podcast just before I got in the car on a long trip. I rested my arm flat across my stomach for about an hour, and then was able to knit away for the remainder of the trip! It was amazing! 9.04 min into this podcast. I must stop and think in awe for a while. Jam Making equipment? What for? Don’t misinterpret me: I can understant the pleasure to have the perfect tools. But I did not even know there where special euipment for jam making. Maybe it is because I don’t do hundreds of jars per year? As always, a pleasure to listen to you. I am a recent listener to your podcast. Been working my way backwards thru the episodes while I wash dishes or knit. One night while dish washing I was strongly compelled to put down the scrub brush and put on my Clapotis just so I could have a hand knitted piece nearby while I worked and listened. Loved this particular episode–the portable sewing project caught my interest. Thank you for sharing this story in particular (and your other escapades in general). I delight in my time with cast-on! !